Beşiktaş and Feyenoord are similar in more ways than one. Both sides have few league titles in the 21st century and both teams have been absent from the Champions League for an extended period of time writes Yusuf Naishi. Both droughts are less devastating in the case of Beşiktaş although Feyenoord manages to retain some pride in that they beat Borussia Dortmund in 2002’s UEFA Cup final at home in De Kuip stadium. Bilić managed to bring long time Trabzon goalkeeper Tolga Zengin to Istanbul. Beşiktaş have lacked a consistent keeper in recent times and Zengin had an excellent campaign this past season and led in clean sheets. Zengin provides a tough challenge for any opposition as long as the players in front of him also do their jobs. Beşiktaş has also been building up young talent. Although Bilić has opted to play them sparingly several youngsters appear ready to reach the big time. Oğuzhan Özyakup, whom some in the Netherlands may remember as a Dutch international at youth level, has the experience and talent to lead the midfield this season. He will be expected to fill bigger shoes, however, now that Manuel Fernandes has left for the Russian league. Fernandes was an excellent number 10 for Beşiktaş’s even as he broke down opposition defences in his humble number 4 shirt. Departing attacker Hugo Almeida scored a respectable 13 goals over 31 matches last season but he suffered several scoring droughts and did not have many other teammates to make up for those goalless spells. Thus, if Beşiktaş had any reason to make a transfer this summer it would be to bring in a striker. 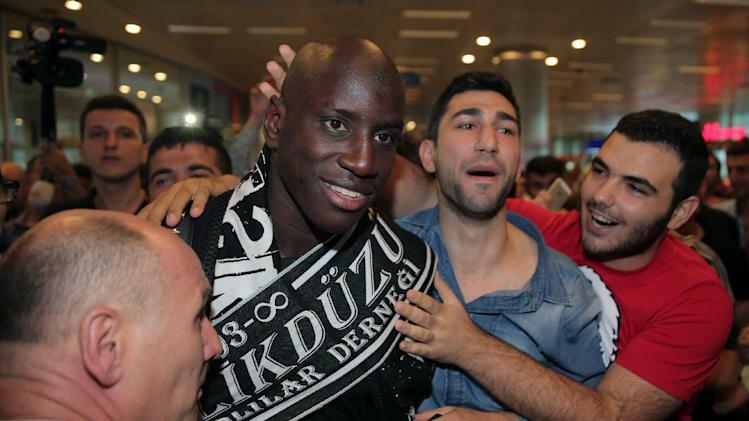 That is exactly what the board of directors have done in bringing Demba Ba from Chelsea to Turkey. Although the Senegalese forward disappointed many in his time in London, his goal-scoring ability is unquestionable as his record at Newcastle United shows. Ba can expect acceptable partnerships in front of goal with either Cenk Tosun, a celebrated youngster from Gaziantepspor or Mustafa Pektemek, a longtime goal scorer on either side of the Bosphorus strait. Key to Feyenoord’s plans to defuse Beşiktaş will be dealing with the Turkish team’s flexibility. Bilic may opt to deploy wingers and have Canadian international Atiba Hutchinson play with Özyakup in the centre of midfield with Olcay Şahan playing advanced in midfield. But what fans dressed in red and white are wondering is if Beşiktaş can prevent them from their first Champion’s League campaign since 2001. Click on Yusuf’s name above to follow him on Twitter.